Top Rated MCAT Prep Tutors in Phoenix, AZ! 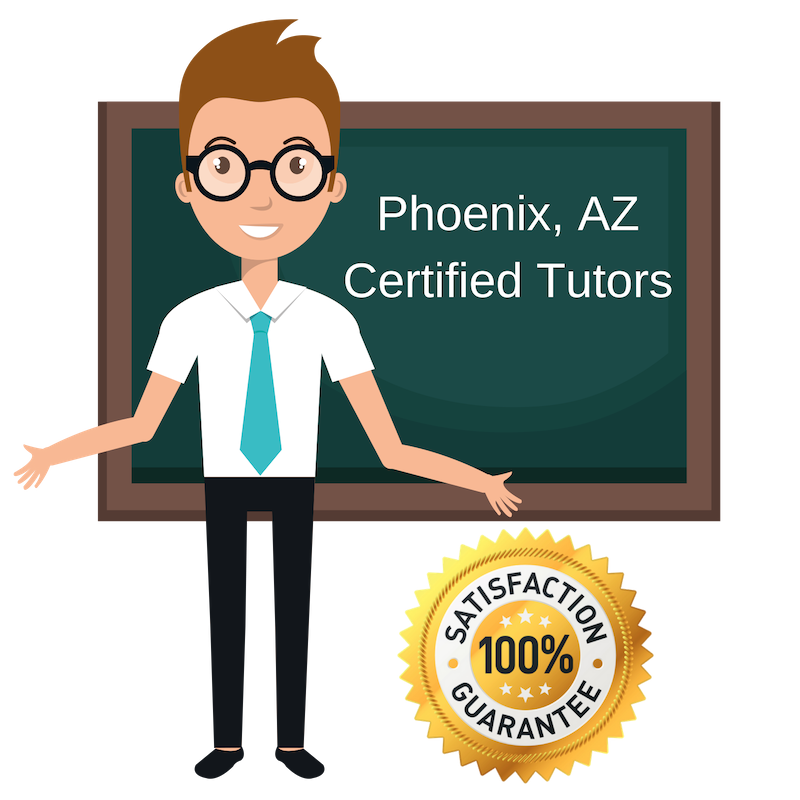 Welcome to Phoenix’s top-rated private MCAT prep in-home tutoring service! All of the following Phoenix MCAT prep tutors are certified by Varsity Tutors, the leading tutoring agency in the country! All Phoenix MCAT prep tutors have been background checked, been interviewed, had mock MCAT prep tutoring sessions, and been trained by professionals. We guarantee you will love your local Phoenix MCAT prep tutor or your money back! Get information regarding a top-rated MCAT prep tutor today! I identify as a tutor, a mentor and a coach. I create a welcoming learning environment for each of my students and make the experience as interactive as possible. I am currently pursuing a Master’s degree in Psychology at Arizona State University, and enjoy complementing my studies with tutoring. I tutor many subjects, but I really enjoy helping students prepare for tests as I am a great test taker and have identified many skills and strengths that I can pass on to other students. I understand how demanding the MCAT is and want to help students prepare for this test and get into the school of their choice. I tutor the MCAT for this reason. I get a lot out of tutoring and I know my students do as well. I have a passion for teaching and sharing my insights and knowledge with students to help better prepare them for the next step in their lives. Traveling, Surfing & Fishing…anything that involves the water! My name is Hima and I am from India, where I received my Bachelor’s and Master’s in Pharmacology. While I intended to pursue a Doctor of Pharmacy program at Midwestern University, I realized my passion lay in tutoring and teaching instead. I am now working towards becoming a nursing teacher. I very much enjoy working with and teaching students. I have a lot of experience teaching graduate students in courses ranging from chemistry, to anatomy, physiology, and pharmacology. I tutor MCAT prep to students getting ready to take this test. I understand the content and style of this test and want to help other students master this subject. I like working one-on-one with students to better understand concepts. I would be honored to tutor you on the MCAT and help you prepare. My interest right now is yoga, meditation. I do both yoga meditation in the mornings everyday. Very rarely I miss the opportunity to do yoga. I like staying calm and cool all the time. My hobbies listening to music and cooking, I cook different varieties of Indian food. I have a passion for math and science and am currently pursuing my Master’s degree in Biomedical Engineering at Arizona State University. I tutor the MCAT to students looking to improve their scores and better prepare themselves. My tutoring style is very interactive and I try and teach through examples. I love seeing students grow more confident in subjects as they master them and I am committed to seeing them get to that point. I am a graduate of Arizona State University, where I received my B.S. in Biological Sciences. I have had the privilege of working with many great and esteemed professors at ASU and have learned a lot from them. I work in a biology lab and am very familiar with math and science concepts. I also am a TA for several professors at ASU and have taught science at the high school level. I tutor the MCAT to help students better understand the material and concepts and improve their scores. I keep my students engaged during my tutoring sessions and work to help them get the most out of our sessions as possible.